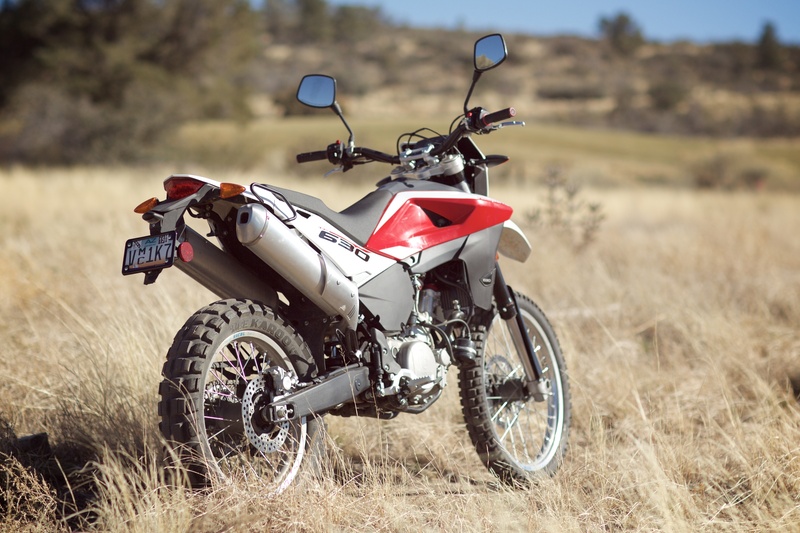 Buying a lightweight dual-sport has its appeal, striking the compromise between dirt bike performance and touring comfort. However, is a balance really feasible? 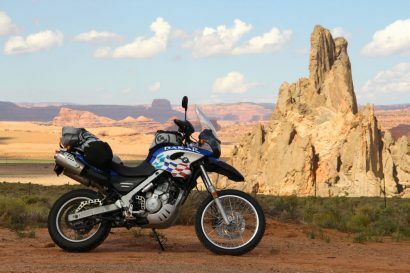 In reality, we can ride around the world on anything with two wheels, circumnavigations having been completed with everything from 50cc Vespas to Honda Goldwings. As a result, it is always about compromise, and in the case of this project, we are aiming for maximum technical terrain performance while still allowing long service intervals, 300 mile-plus fuel range and all-day (ish) riding comfort with a full compliment of tools and camping equipment. For our Light and Fast project, we needed to choose the base platform and to set some criteria. 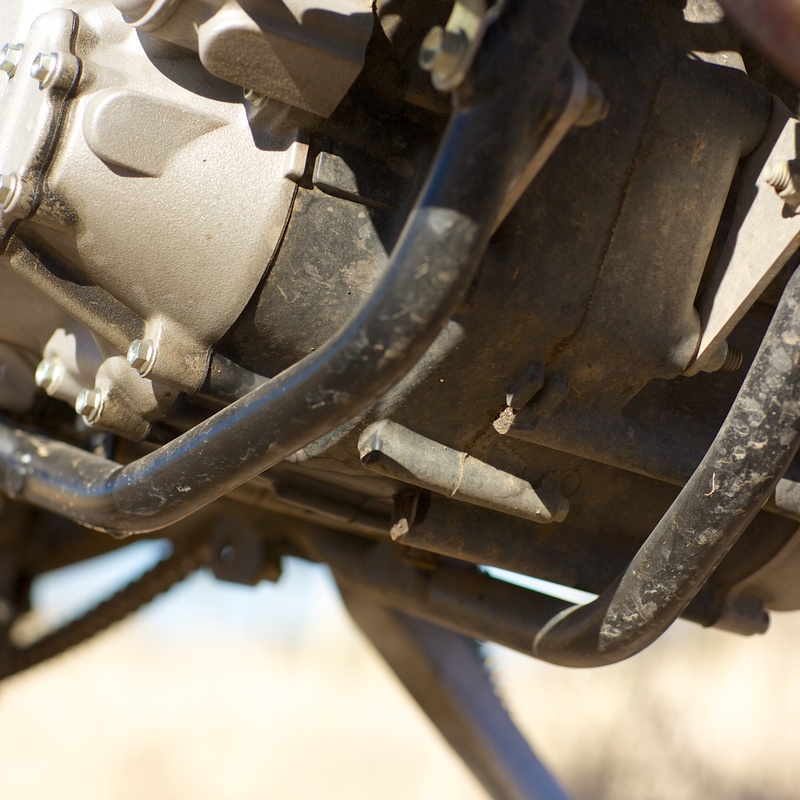 Our team decided on a fuel-injected motorcycle with a minimum of 50-horsepower and 50-mpg. Suspension with a minimum of 10-inches of travel and a motor with a 3,000-mile service interval. We also set our budget at $6,000, which led to a lightly used Husqvarna TE630, completely stock and only 1,200 miles on the odometer. 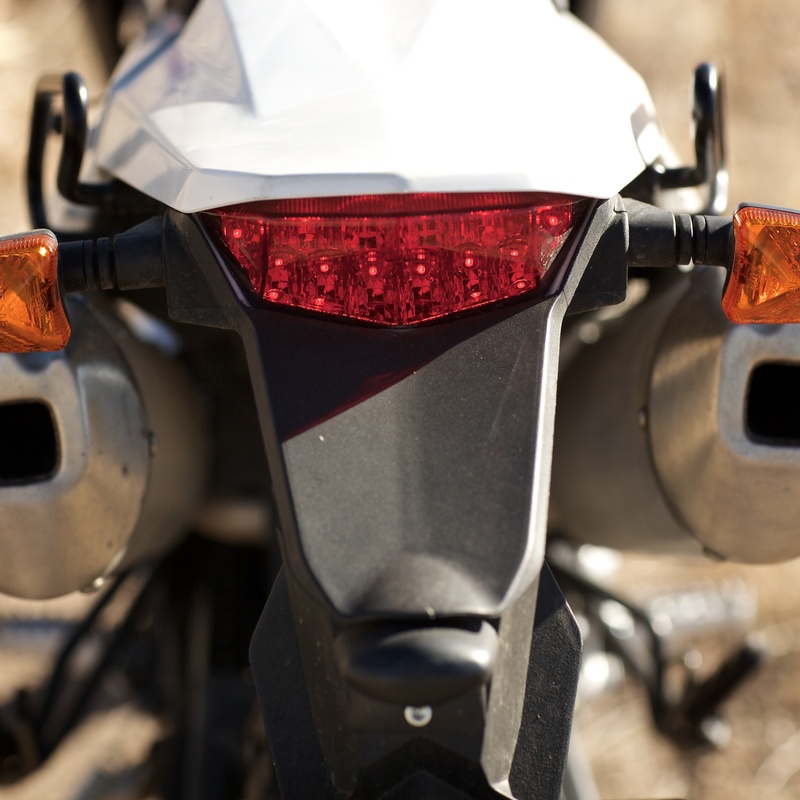 We also considered the KTM 690, but they were difficult to find used and most were over $9,000. 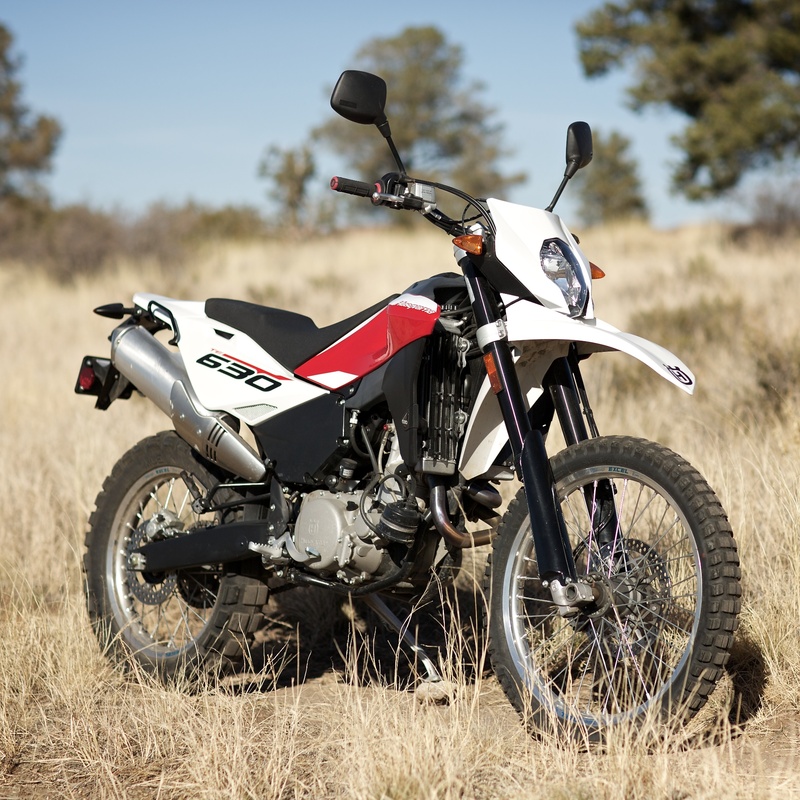 On the road, the stock TE630 is not a bad cruiser for a dirt bike, although notable vibration comes through the drivetrain. More than enough power, even pushing well past interstate speeds. 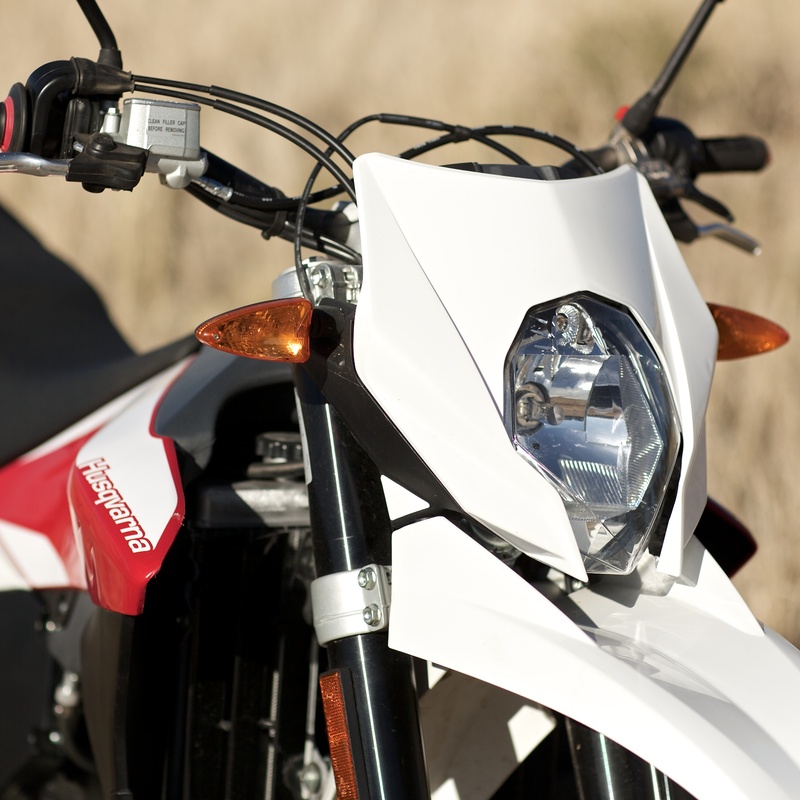 As expected, wind protection is nonexistent and the seat is a 100-mile unit- more comfortable then the KTM, but much less so than the new KLR. 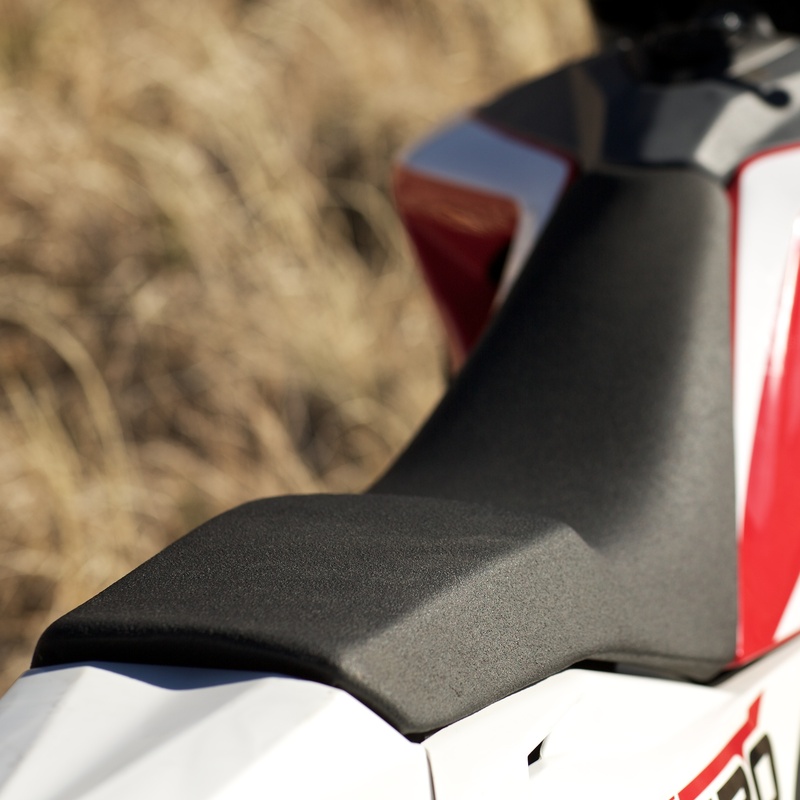 With all-terrain tires, the Husky encourages supermotard behavior on the twisty mountain roads. The brakes are sufficient for most stopping scenarios. 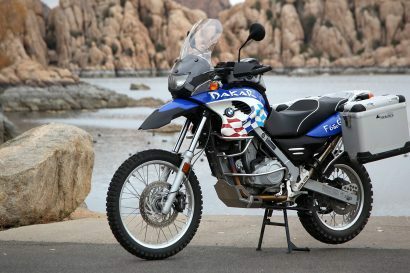 My biggest complaint on the road (and the trail) is the ergonomics, the motorcycle feeling like it was setup for a 5’5” rider with size eight boots. The shifter and rear brake are really close to the pegs and overall the cockpit feels cramped. At 6’1” and size 12.5 boot, I was concerned that maybe I just wouldn’t fit, but the aftermarket solved all of the ergonomics issues-more on that in the next installment. 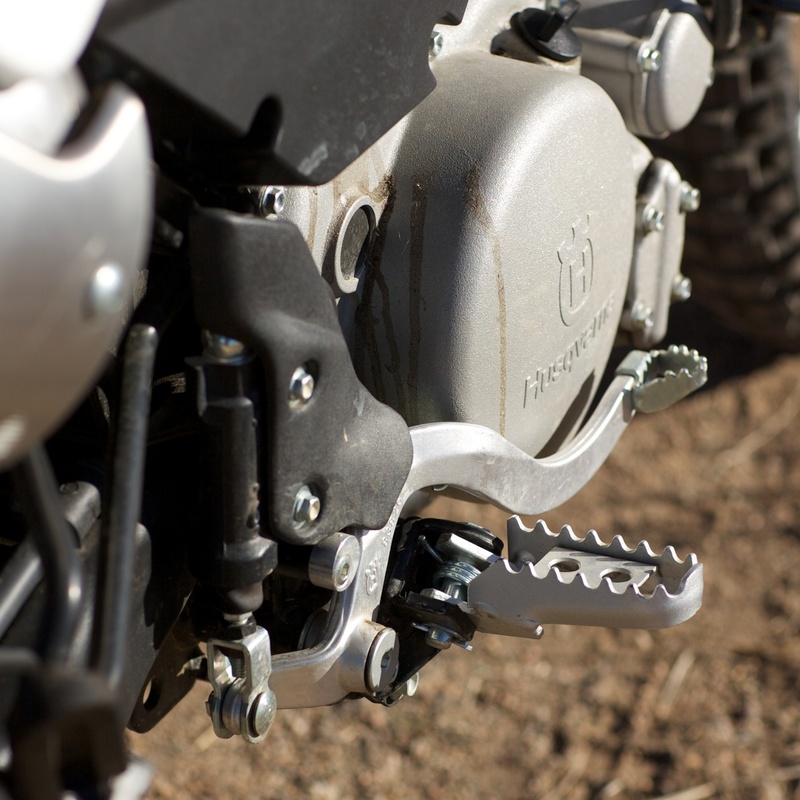 The Husky comes delivered with limited engine protection and a cramped peg space. The motorcycle we purchased was delivered with a low seat. We have since purchase a standard seat, but the low has proven to be more comfortable. 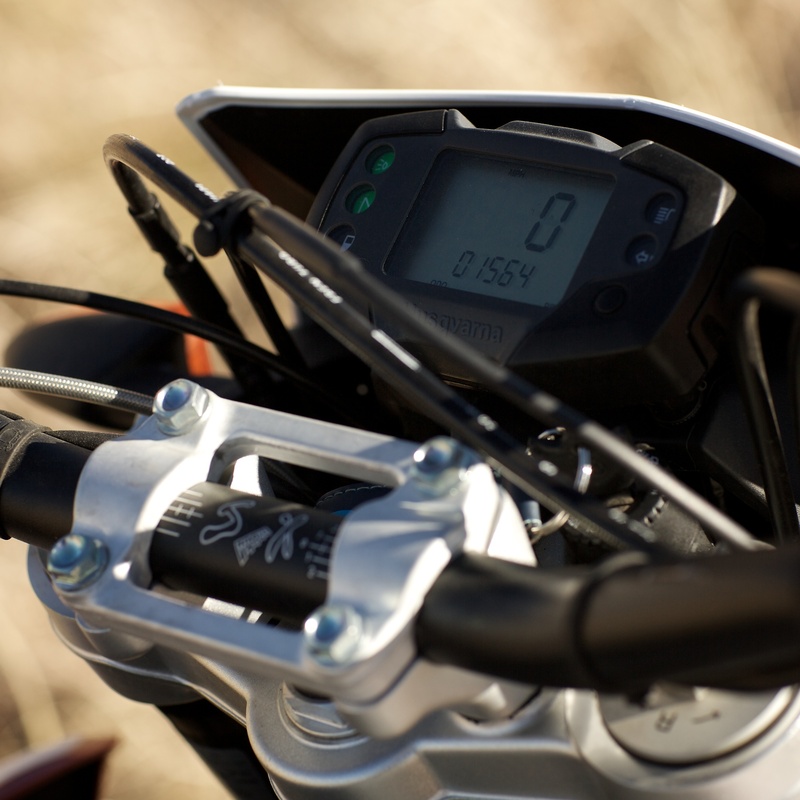 The TE630 is a great looking motorcycle, with modern styling and an easy to read digital gauge cluster. The stock headlamp is barely adequate for most trail conditions. 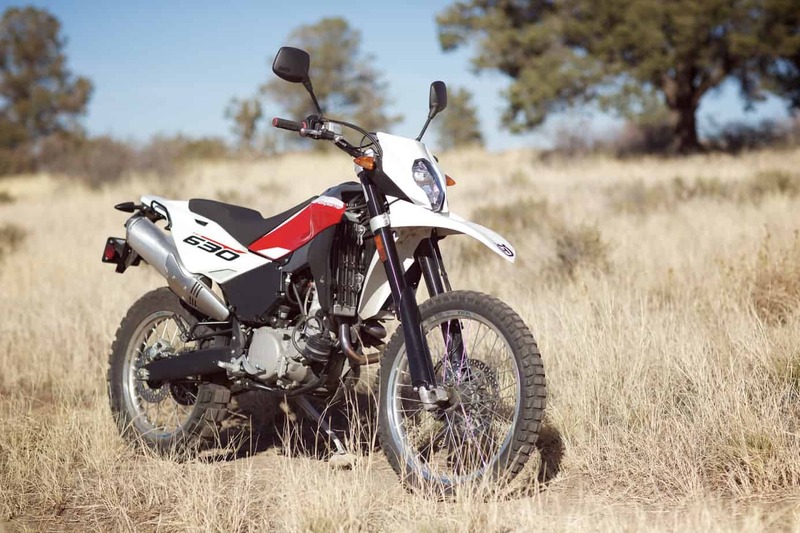 While the TE630 is a great dirt bike and local commuter right out of the dealership, it would need a few modifications to support long-distance adventure travel. Our plan was to divide the accessories and changes into three categories: 1. Trail performance and ergonomics. 2. Touring and electronics. 3. Racks and luggage. 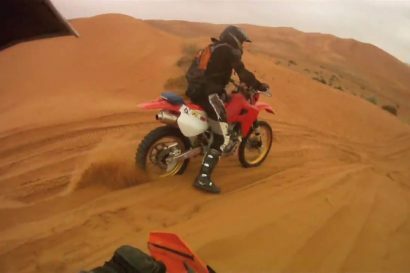 For trail performance, the most important considerations were protection, traction and ergonomics. On the road, we hoped to address wind protection, fuel range, vibrations and navigation. Last but not least, we decided to install a rear rack and full compliment of soft luggage. Part two of light and fast will follow the selection and installation of most of these accessories, and hopefully prove out if a motorcycle can be built light, fast and adventure-ready.